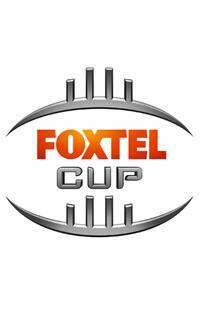 The AFL today announced the fixture for the 2014 FOXTEL Cup competition, which pits the best teams from each state league competition against each other in a knockout format. 2013 FOXTEL Cup champions West Adelaide will return to defend its title and will be joined by each of the 2013 state league premiers from the SANFL (Norwood), VFL (Box Hill Hawks) and the WAFL (West Perth). East Perth (WAFL), Williamstown (VFL) and Prospect State (TSFL) have each earned automatic entry into round one while NEAFL sides Aspley and Belconnen will play off for the right to earn the final position among the leading eight state league sides in the country. AFL General Manager Broadcasting, Scheduling and Major Projects Simon Lethlean said the AFL was delighted with the continued strength of the teams that would contest the fourth season of the Foxtel Cup, with one title now having been claimed by an SANFL club (West Adelaide, 2013), a WAFL club (Claremont, 2012) and a VFL club (Williamstown, 2011) since the competition’s launch in 2011. All matches in round one, the semi finals and the Grand Final will again be played on Tuesday nights, to maximise exposure for competing clubs and players. Mr Lethlean said the winning team will claim a first prize of $100,000, while the format of three matches to win the title will again ensure the competition should complement the state league seasons and not compromise any team's pursuit of its state league premiership with too many extra matches. All four matches in round one and the semi-finals and final will be broadcast on the FOX FOOTY Channel in primetime on Tuesday nights, Mr Lethlean said. "The Foxtel Cup will again have all the best state league teams on show, and these games continue to provide opportunities for state league teams to increase their professionalism, while allowing further chances for state league players to push for opportunities with AFL clubs,” he said. All matches will again consist of four quarters each of eighteen (18) minutes set time, plus time-on from the last 3 minutes only (20 minutes approximately total per quarter), to lessen the load on players as well as to enable games to fit into a two-hour broadcast window. Four round two knockout matches to be played in the period between April 29 – May 27. Two knockout semi-final matches to be played on June 24 and July 1. Grand Final to be played on Tuesday July 22. Venue to be determined dependent on the competing teams.